I love how Samooha’s report drill-down feature allows us to see our company’s profit drivers quickly and accurately. 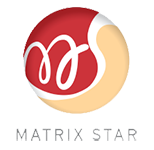 Matrix Star has gained scalability to handle more product brands and category. thousands sales invoices every month since they started to use Samooha. by Matrix Star warehouse and their third-party logistics (3PL) provider. AutoCount’s reports do not provide Matrix Star with enough details and up-to-the minute business information across the organization. AutoCount WMS module do not support FEFO batch management which is critical for Matrix Star business expansion into perishable products. Samooha’s FEFO batch management capability enabled Matrix Star to expand its business into perishable products successfully. tracks their inventory and distribution of products with multiple UOMs.